After an amazing year of programming and countless hours of planning, the 2018 cohort of Mentor2Mentor is now complete! 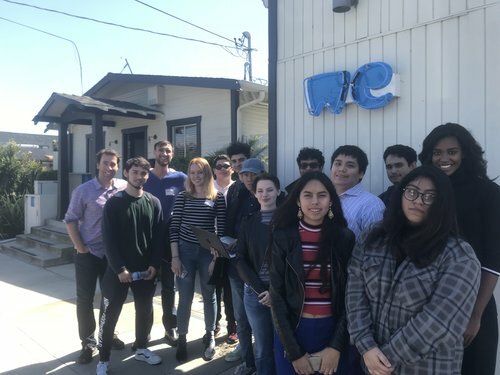 During the spring semester, our high school participants from DaVinci Schools spent their weekend creating ways to tackle systemic issues in the Los Angeles area. 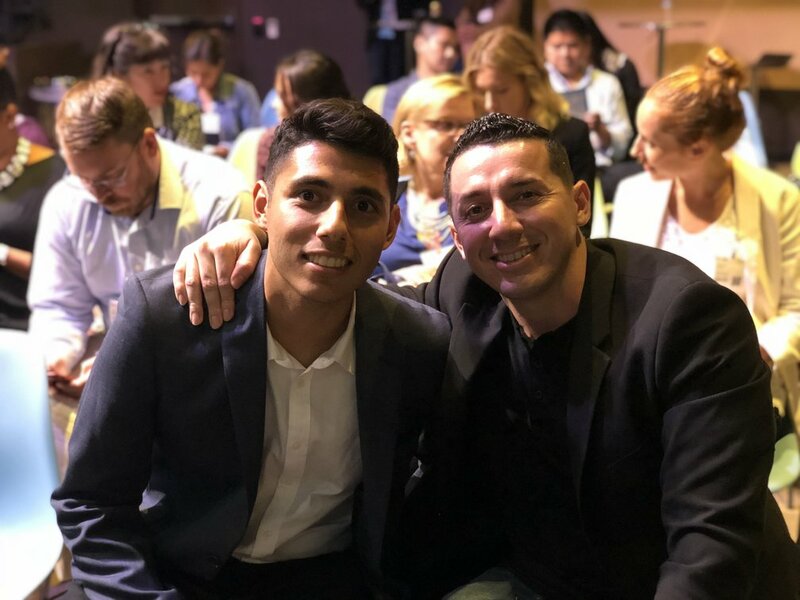 With the help of their entrepreneurial college mentors from Loyola Marymount University, in late May our student groups presented preliminary solutions supporting the success of homeless youth. 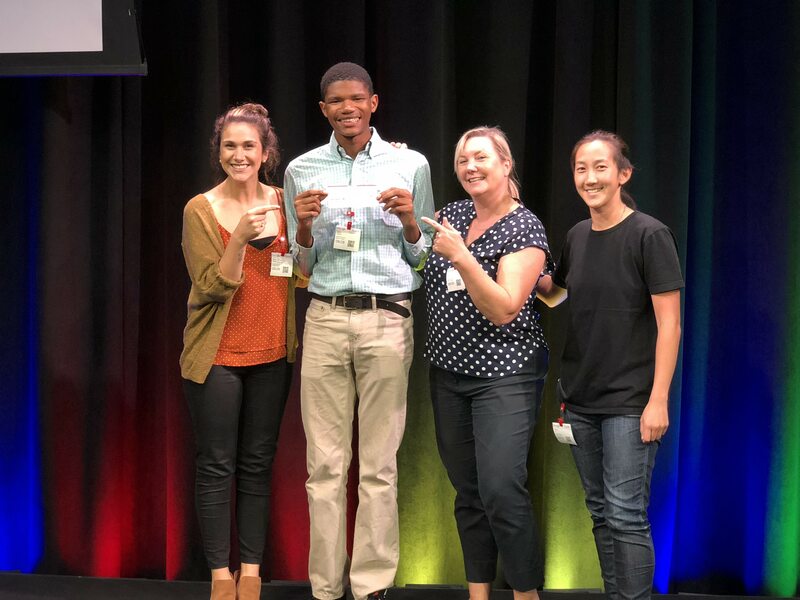 Following that initial pitch competition, our college participants worked closely with executives from Google and WeTransfer to transform this initial idea into tangible, tested prototypes that were then presented at our Fall Pitch Showcase. At this culminating event, We had over 5 students groups from our 2018 cohort present during an evening of celebration. 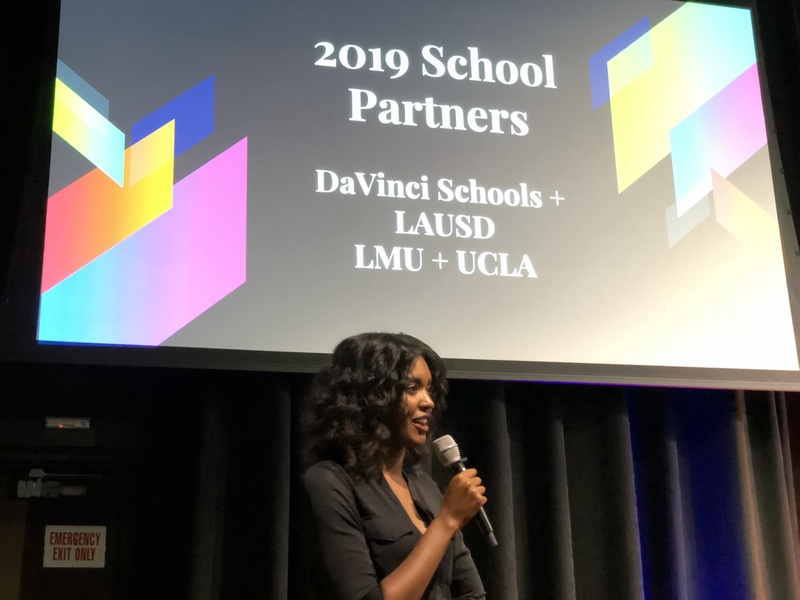 Our winners, Natriya Chun from LMU and Jalen Carter and Elizabeth Pech from DaVinci, created a multi-media showcase, Peace by Piece, to reduce community stigma and stereotypes about homeless youth in Venice. In addition to the $500 awarded to help Safe Place for Youth and the M2M student team implement the winning solution, we were also able to raise just around $1500 that will go directly to supporting the incredible work they are doing to impact the lives of youth experiencing homelessness. As we gear up for 2019, I’ve spent countless hours thinking about how we can best add value to our participants and our surrounding community. Through that process, I’ve taken time to appreciate many of the aspects that I feel were tremendously successful about our pilot. To start, there is something so powerful about the story we are able to tell with M2M. We have youth using their creativity to brainstorm solutions to issues that are directly facing themselves or their peers. For example, in our 2018 cohort, many of our participants expressed directly knowing someone that’s experienced homelessness, and even a participant themselves had experienced the circumstance first hand. For each cohort, we identify an additional non-profit partner that provides insight on a particular community issue. As we scale and change our focus each year, we plan to still tackle issues that directly affect the youth experience. In 2019, our M2M participants will work to develop innovative ways to support the educational success of immigrant youth in the LA area. We may have just hit the jackpot this time around, but our youth and college participants were outstanding! The amount of determination, dedication, and innovation shown by our students was unmatched. There is only so much time for us to sit back and wait for others to take the lead. Contrary to the common stigmas about Millenials and GenZers, it’s safe to say that the participants of M2M, and countless others are certainly an exception to the stereotypes. Even myself (being only 22) I often feel the backlash of ageism, but I’ve used that as a fuel to motivate myself to continue to support the success of those around me. A huge value of the Mentor2Mentor program is diversity. In 2018, we worked with students from all different age ranges, a myriad of races, and even a wide variety of religious backgrounds. With diversity in mind, a big goal of mine for the 2019 cohort is to continue to find ways to better recruit and engage female participants. Our 2018 cohort was about 25% female, and I would like to see that at least double for next year. 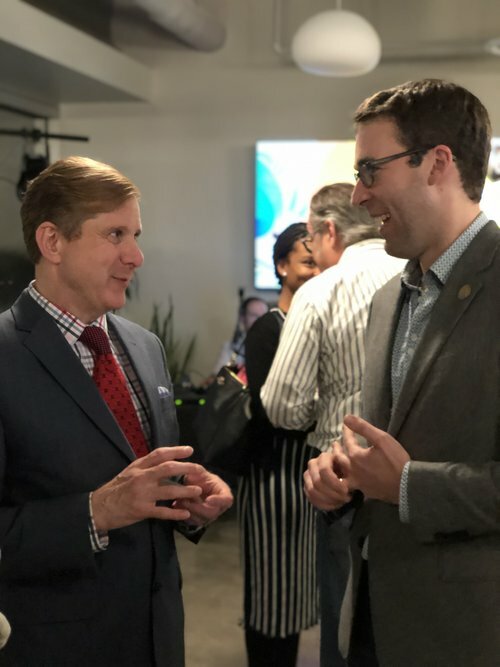 Since our program is focused on tackling important issues in the LA area that are often a bit sensitive, we put a huge emphasis on building empathy for others. 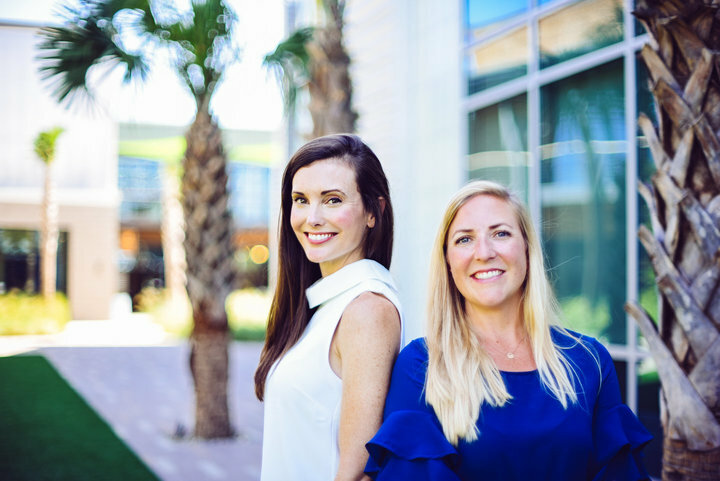 This empathetic aspect allows for our participants to come from all different walks of life and truly connect, foster relationships, and help us build a socially conscious pipeline of entrepreneurs that is so necessary for success of the LA tech sector.